I'm back with another week in pictures post. It's been a good week, albeit a busy one. It mightn't look it but there's a fair bit happening behind the scenes in terms of finishing my Parsons x Teen Vogue course and designing a website for someone else, oh and savouring the last of my free time before I go back to university. More on that another time. 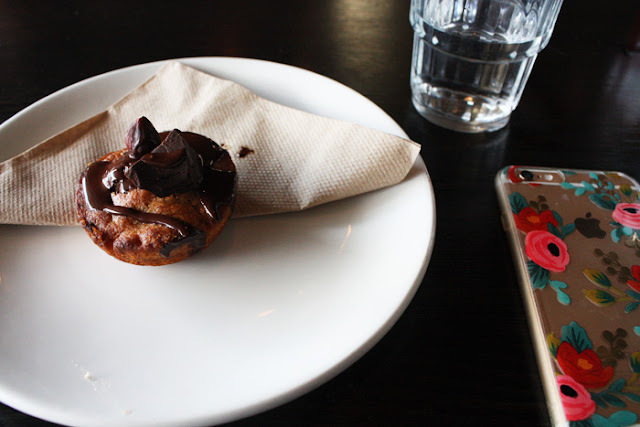 Anyway, here's the week that was..
(Above)-Morning tea at the Onehunga Cafe which I'd heard good things about from Tara and Ellen. This banana cake was vegan and oh my gosh it was delicious. They do pretty decent coffee as well. 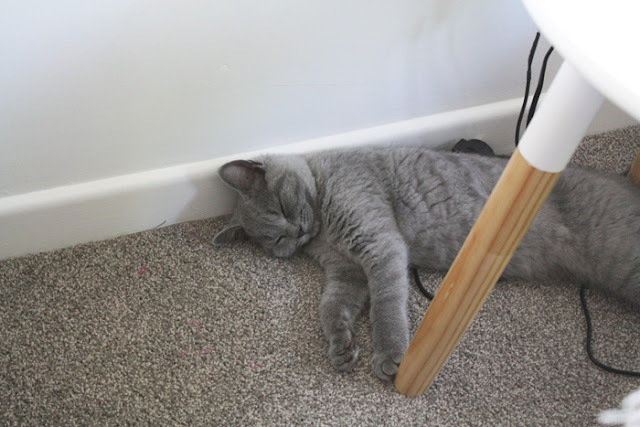 -I housesit+cat sit for Fiona and got to look after her absolutely adorable kitten Bobbi. Seriously, Bobbi is the cutest ever. She makes my heart melt. -Pink, cotton candy skies on Monday night. So pretty! 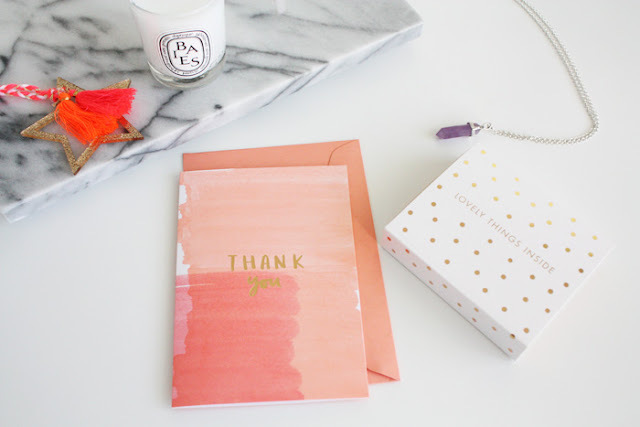 -Cute cards and a lil' thank you gift from Fiona. She gave me a voucher for Kikki K and surprisingly it's still intact. 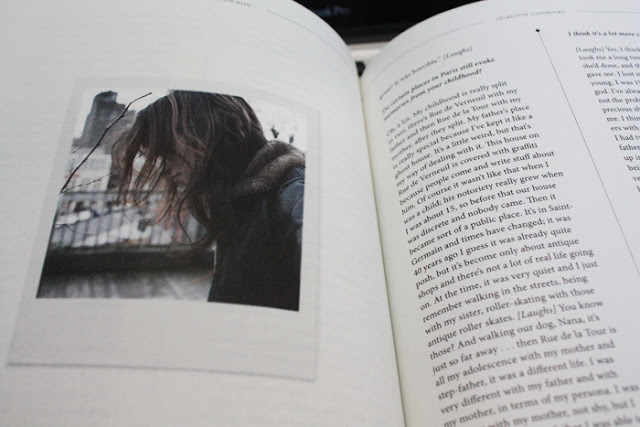 -Charlotte Gainsbourg inside the pages of The Travel Almanac. One of the perks of being in a magazine shop+office on a Friday is that I get to flick through a lot of magazines. Not gonna lie, it is a bit of a struggle to not take them all home with me but I survive. *Have the best weekends guys! I'm typing this with my battery bar on 15%, living life on the edge etc. It's a long weekend here so that's a bonus. I'm keen to go watch a movie or something so that may happen too. Have a good one! & I'll see y'all on Monday with a book post. If you're a longtime Nana Wintour reader, and uber brownie points to you if you are, you'll know that I love music. Actually love is probably not even a powerful enough word in this case. 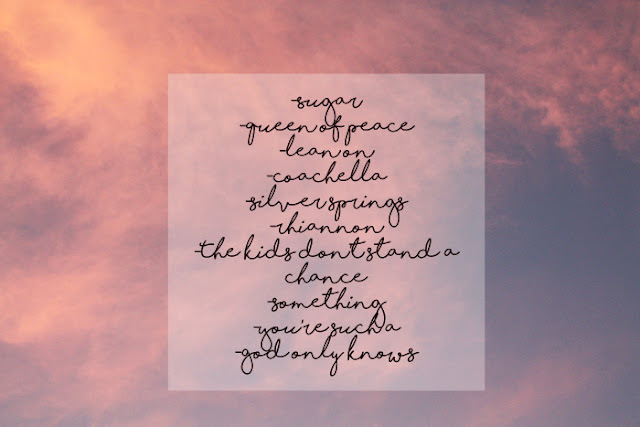 Today I've combined two of my favouite things; Summer and Music and made y'all a little Playlist. This might see like an unusual grouping of songs but it's the music I've been playing on the regular this season and also features the artists who I seem to declare Summer material-Vampire Weekend namely. Sit back, relax and enjoy! The playlist is below for your listening pleasure. -What's on your Summer playlist? Y'know the drill by now. I buy/acquire magazines. I devour them over my morning coffee/in free moments. I inevitably like them and then feel compelled to share the love with you guys. So here we have it, four magazines have read and loved recently. Enjoy! Kinfolk-Ahh Kinfolk, you mighty ol' thing. This magazine combines the best of all that we love; design, travel, food and entertaining. It's about the simple and fuss-free. The cleanly designed and the organised clutter. Each issue has a theme, the Winter one centres around design and its widespread significance. They also explore the idea that good design doesn't necessarily need to follow all the rules, in fact it may bend a few along the way. 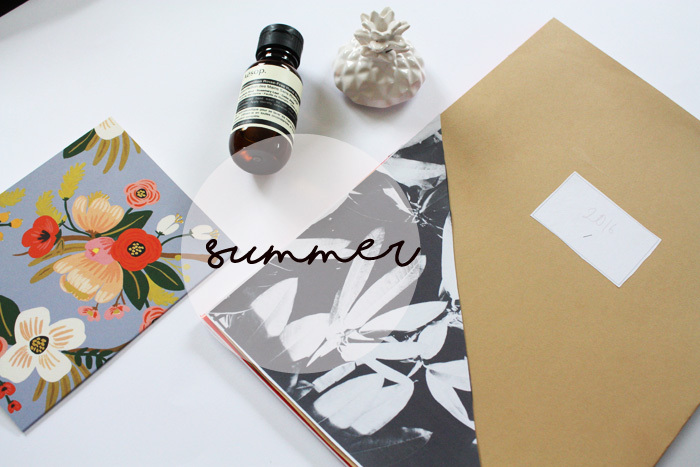 There's something relaxing about reading Kinfolk and I've loved dipping in and out of this one throughout the Summer. The Happy Reader-If you saw my end of year book haul, you'll know The Happy Reader is a bit of a nightmare to find. Regardless, I thought it deserved a mention around this part. I'm pretty sure this magazine is released by the folk behind The Gentle Man and Gentle Woman magazines. Each issue focuses on a literary enthusiast, usually a well known face who we all know and love. Past issues have included Aziz Ansari and Kim Gordon. There's also a snippet of another book included and a bunch of additional bookish goodness. This won't be a magazine for everybody but if you love books you should hunt this down. Yen-Yen have really upped their game recently and it's one of those magazines I make an effort to grab when it's released every two or so months. The latest issue was their annual festival themed one and features interviews with a bunch of artists who are headed down under for various festivals throughout the Summer. There's also some inspirational fashion editorials, musings about travel and even an article about the mysterious cults and secret societies of the world. I'm not sure if this magazine is available outside New Zealand and Australia but it is well worth the read if you can find it. Cereal-Surprisingly this magazine is not dedicated to one of the best meals of the day. It's a publication, released twice yearly devoted to travel, adventure and all things us wanderlust loving folk are fond of. If this magazine doesn't make you want to pack up and roam the world with a camera, books and the simplest of things, then I don't know what will. -Have you read any of these magazines before? 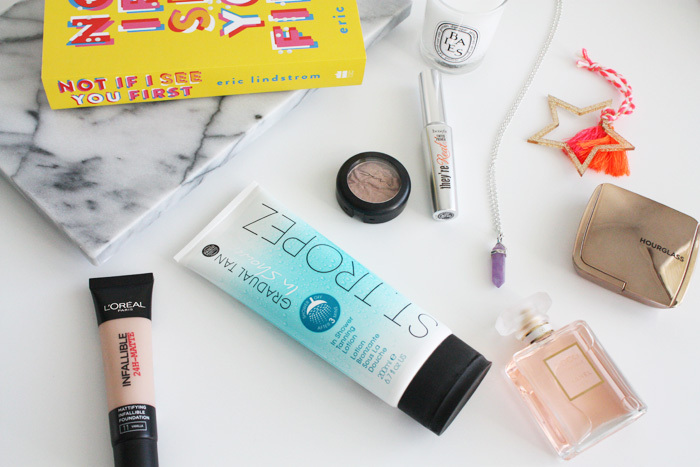 What are your go-to glossies? *Have an amazing weekend everyone! It's been ages since I've done one of what I label as 'life rambles' when I'm drafting these posts. Lately though I've got to the end and been so eager to press publish that I've forgotten to add this in. This week's been eventful if I do say so myself, but in a good way. This weekend I am house sitting, catching up with friends and hopefully eating good food. All the important things in life right? See you on Monday with a fresh new post x. For those who aren't familiar, the Instax 8 is a new, multicoloured sibling of the Fujifilm family. 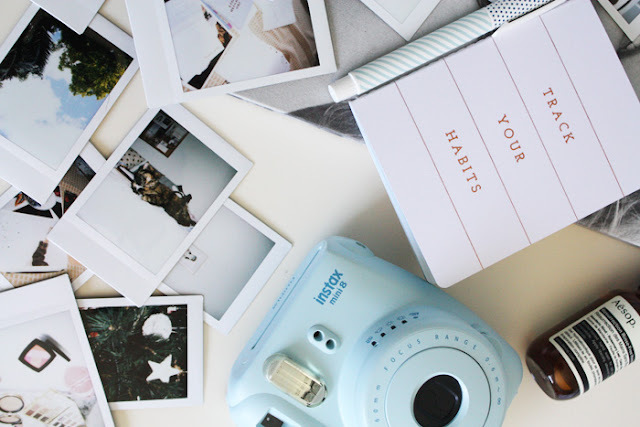 The Instax 8 prints pictures that are about the size of your standard business card, but there are other units which print the larger more traditional style polaroid photos. The one I received was a pale blue colour which I loved and it has a range of different light settings which the camera adjusts to. It's so easy to use and with the click of a button you can print your own photo and wait for the magic image to appear. The good: Instax 8 is going to appeal to people across the board due to its nostalgic properties and with the nineties revival of late that is hardly surprising. You cannot beat having a tangible photo in your hands and due to the nature of the pictures, you're bound to get a unique photo to keep. 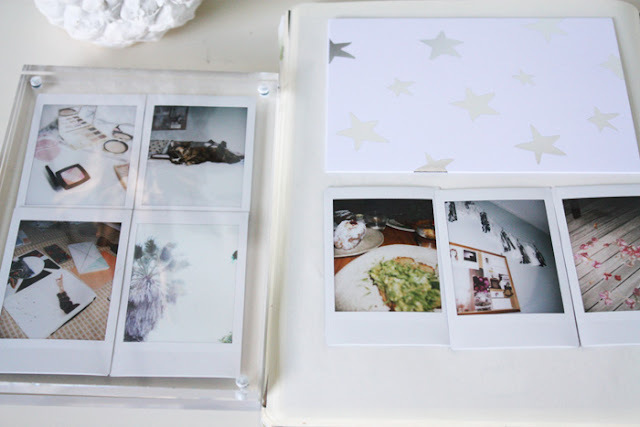 It's a great tool to have to capture mementoes from special occasions as well of course as the candid moments of everyday life. 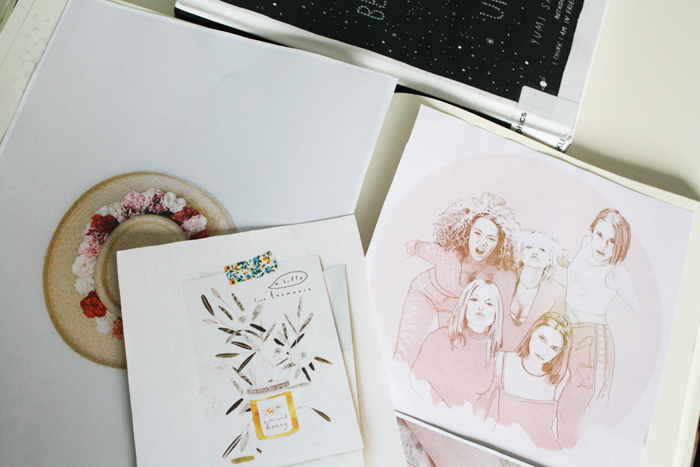 I love the size of these images as well, they're perfect for placing in your wallet and in journals or letters. The not so good: We'll start with the glaringly obvious; film is still a crazy expensive commodity. You can buy 2 10-packs of film for anywhere between 25-30 dollars. Do the math, one shot is quite pricy. It's definitely not something you're going to be wanting to buy all the time so film is something you'd use sparingly if you have one of these. Another thing is film photos are unpredictable. That's both the beautiful and ugly side of things. So long as you're not expecting groundbreaking photography with these I don't think you'll be disappointed but it is frustrating sometimes to find an image has become overexposed or blurred. Maybe I'm just bad at using these but it's just something to be mindful of. So all in all, I really enjoyed the Instax. It's definitely a novelty item and due to the cost of film it wouldn't be something I'd use all the time. There is something special about film though that digital cannot beat. I was quite sad to hand back this baby blue treasure. Instax 8, it's been real. *PR Sample provided for review. Maybelline Lash Sensational Waterproof Mascara-This was a repurchase, although I was gifted this mascara initially but I did like it so I grabbed it again. I'm really enjoying waterproof mascaras at the moment, the formulas just seem to work with my lashes better. I've tried a few different Maybelline mascaras now and this one is still my favourite. It does not disappoint. Zoella Beauty Travel Pass & Compact Mirror-I'll be honest, this is a bit of a random purchase but I wanted something to house my AT Hop card given I am notorious for misplacing it. The fact it has a mirror inside is a bonus and I might even use this when I'm not in the mood to take my wallet out and about. Maybelline Eraser Eye Concealer-Aka the ever-popular age-rewind concealer. This is a repurchase for me as this is my favourite under-eye concealer. It lasts so well and really hides those undesirable dark shadows. I have no idea why this concealer isn't available in NZ but it really should be because it is fab. Korres Santorini Vine Shower Gel-It wouldn't be a Feelunique order without at least one Anna influenced buy. Did I really need another shower gel? Not really, but I like having these mini ones in the shower because they take up less space. It smells divine and while I haven't had a chance to use this yet, I know it's going to become a favourite. 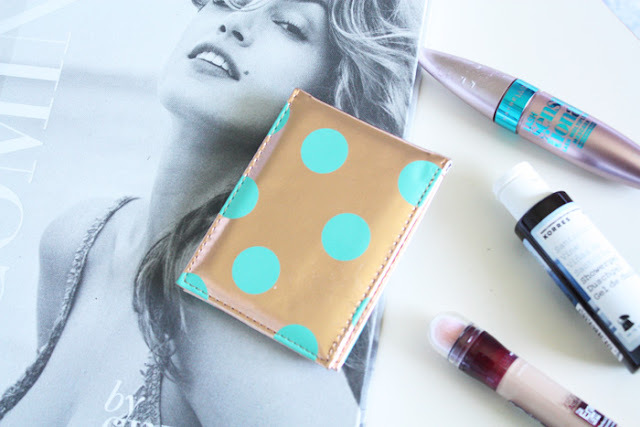 -Did you purchase any beauty buys in the sales? What did you grab? Happy Friday, TGIF and vice versa. It's been one of those weeks that's just dragged on a little bit. Although Monday was awesome, especially going to watch Sisters and having time with kittens, friends and makeup. Anyway, today we have some reviews for y'all from Emma. I'll let Emma introduce herself now and you can get acquainted with her reviews. Enjoy! 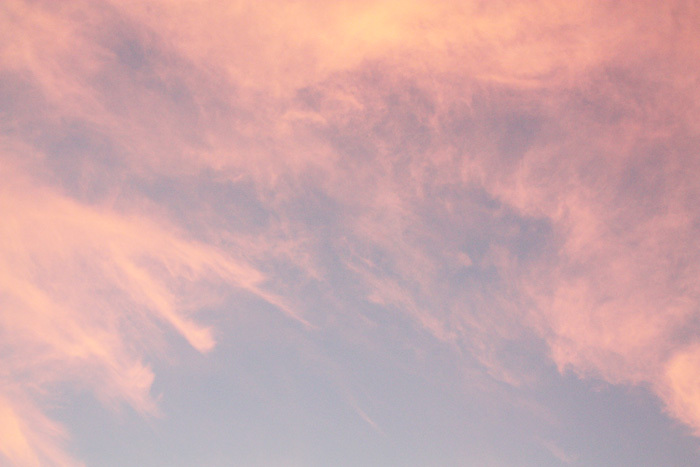 I'm Emma, a 19 year old student from New Zealand. I'm a book worm, a lover of thrift shopping and a complete Richard Ayoade fangirl. 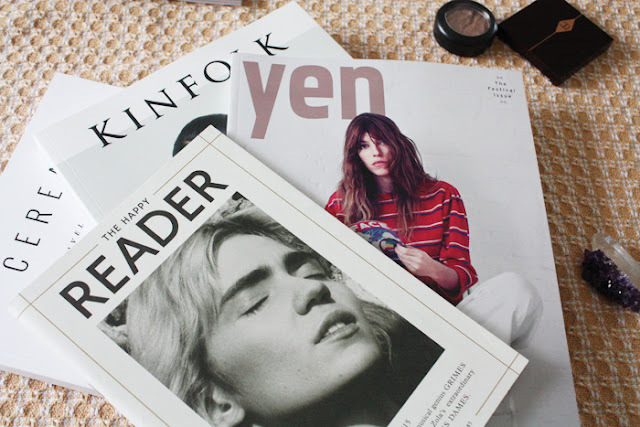 I run the blog Oh Flower Child and write mostly about beauty, books, and fashion, with some lifestyle posts thrown into the mix. Now on with the reviews.. The Invasion of the Tearling* by Erika Johansen: The Invasion of the Tearling is the second book of the Tearling series - the previous one being The Queen of the Tearling. This primarily starts off as a fantasy series, but The Invasion of the Tearling brings in science dystopian elements. Kelsea is challenged to face The Red Queen and defeat The Mort Army, while trying to figure out what has happened in the past with the Royal family, and equipping herself to deal with strong magic from a necklace around her neck. I found this book to be much more gripping than the first. The first book was setting up everything, whereas much more happened in the second, and everything you wanted answered from the first, was. By the start of the second book, my head was wrapped around the world and the characters, and in turn this book was much more enjoyable. The protagonist, Kelsea, has changed quite dramatically from the first book, and I saw lots of character development. I felt that Kelsea is starting to see who she really is and who she should be deep down, for her kingdom. The dystopian elements mixed with the medieval fantasy world is really unique - I just felt myself really enjoying finding out what would happen and how those two worlds could somehow be connected. On a side note the first book is being turned into a movie staring a very famous actress - I feel like this is definitely a series to start reading now. 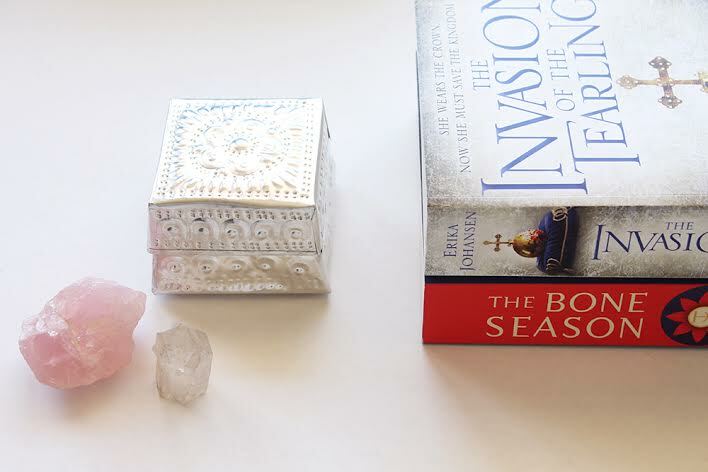 The Bone Season* by Samantha Shannon: The Bone Season is book number one of a fantasy series based around the idea of certain citizens in society being 'unnatural', or what they call 'clairvoyance' - rejected by the Scion London officials and therefore by every 'natural' citizen. Paige Mahoney is a dreamwalker - one of many clairvoyance powers that an unnatural can have. She essentially breaks into people's minds and with her ability, works alongside others for a man named Jaxon Hall at the Seven Dials in London. But outside of the controlled world of Scion, another powerful society awaits, of which entails something called 'The Bone Season'. When I first began reading, there was definitely information overload. It was hard to keep up with all of the names and the terms for everything in the world. I have to say, it starts off slow. It gets better gradually, but it does take time to wrap your head around everything. The second half of the book is much better in my opinion, and I could not stop reading. There was lots of action-packed moments near the end of the book, where as the first half was quite mediocre. The start was slightly hard to get into, but things got very intense soon enough. I think this was an innovative world - very imaginative and detailed. If you like fantasy, I'd say definitely keep this one on your radar. -Have you read either of these books? What did you think of them? I'm back with another YouTube video today that's been a long time coming. 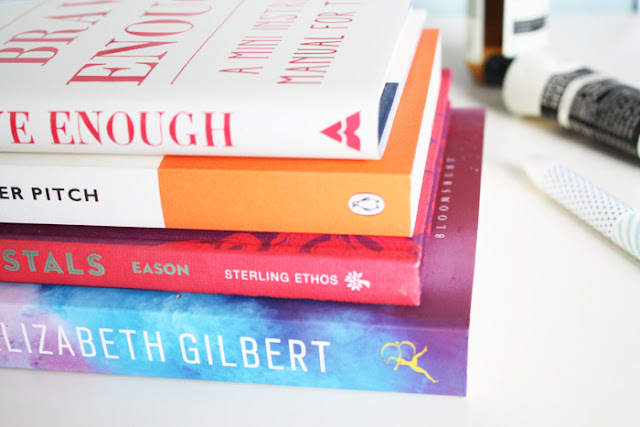 My end of year book haul from the last two or three months of 2015 is finally up on my channel. There's a lot of YA in the mix as well as some self-help, positive lifestyle books which are perfect to be ushering in 2016 with. Enjoy! Oh and if you want a full rundown on the books featured, click through to YouTube and all the titles and links are in the description box. Hourglass Ambient Lighting Bronzer in Luminous Bronze Light-Hourglass are known for their ambient lighting powders, blushers and bronzers. They're soon to add strobing powders into the mix so don't expect them to disappear from the beauty radar any time soon. 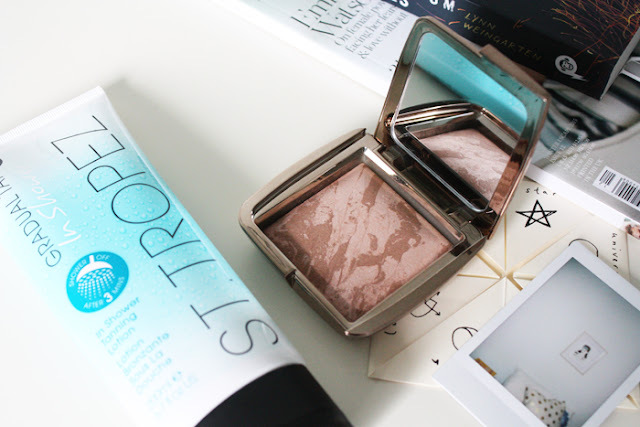 Luminous Bronze Light is the lighter of the two bronzers they've released. It looks shimmery in the pan but it doesn't translate to the face in the form of a glittery, darkened mess. Instead you get a subtle warmth without any crazy, telltale orange signs. You can see the bronzer on my face here. I'm obsessed with this, it's much more pale-skin friendly than something like Laguna from Nars. This'll definitely be on high rotation in my makeup bag this year. 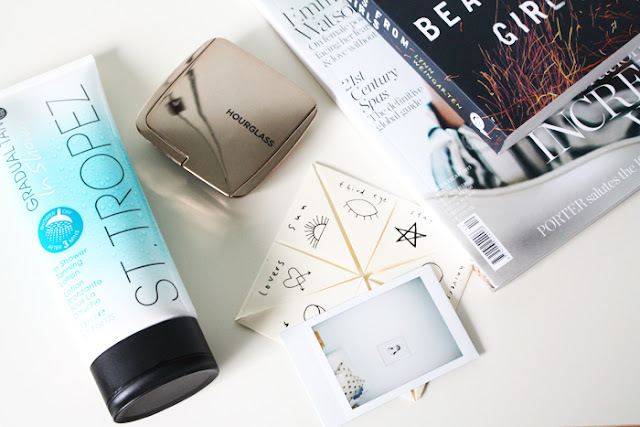 St Tropez Gradual Tan In Shower Lotion*-Aka product which sounds too good to work but really delivers. You apply this lotion whilst showering, leave it on for three minutes and then rinse it off again. This mightn't be the most appealing concept in Winter but for Summer I am all over it. Your skin's left looking warmer but not crazily so, again another one that's probably better for paler skintones. If you are a tanning maven though don't turn up your nose at it. A product like this would be great for touching up your tan in between applications. I love that it's great for tanning-phobes like myself. You aren't left with any blotchy, streaky marks and it's so easy to use. 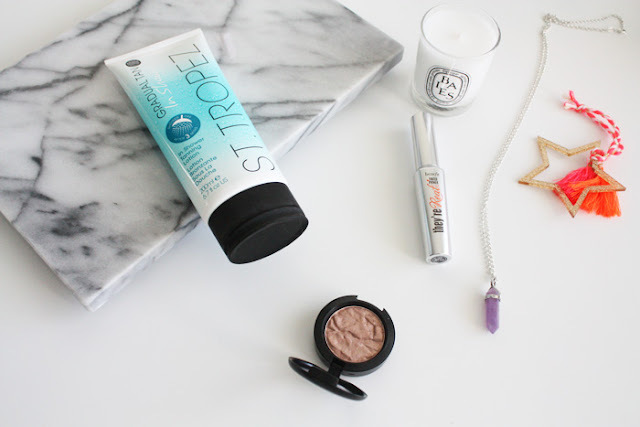 -What are your go-to products for bronzed skin? Hello and welcome back to the semi-weekly series of photos here on Nana Wintour. It's been a while since I did one of these posts, it was possibly back before Christmas actually. This week may as well be renamed the stay at home club. I had no car until Wednesday afternoon which was a little inconvenient and when I have been out, I've either been at work or forgotten to take my camera. Bad blogger alert. Anyway, here is the week that was..
(Above)-January equals a new calendar. 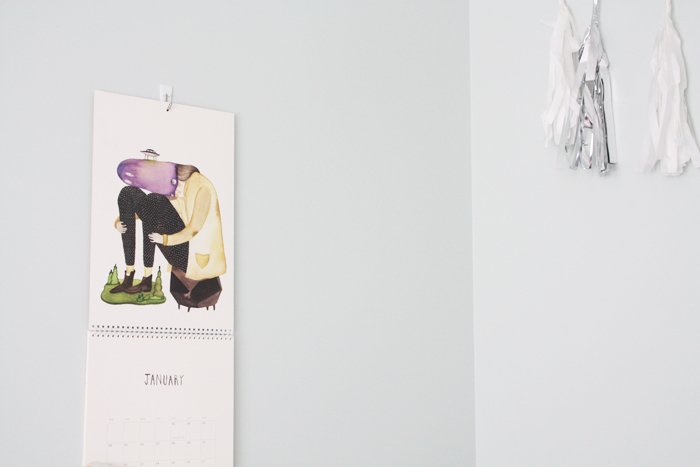 This one is the Frankie magazine 2016 calendar which I think is sold out worldwide now. -Clippings from old issues of Frankie which I'm using on my pinboard and in my journals. I love that Spice Girls illustration. 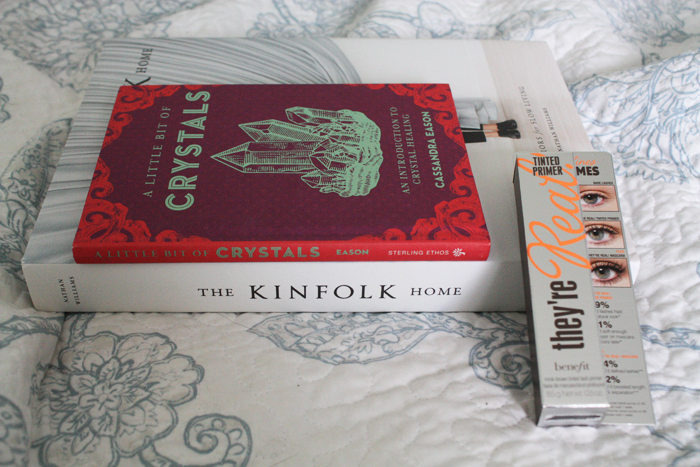 -Book mail from the post-Christmas sales over on Booktopia and a new lash primer from Benefit which I'm going to be trying out. The primer is out in NZ on the 29th of January btw. -Myself and one of my friends did the crazy thing and went Boxing Day Shopping. It was so busy in Lush but I did get this Golden Wonder box and some of the Snowcake soap. 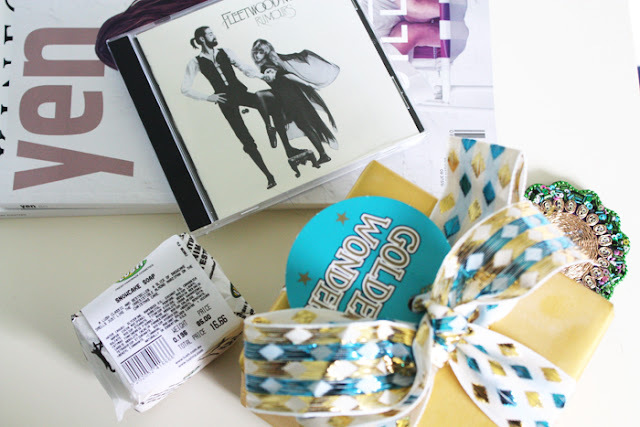 I also bought Fleetwood Mac's Rumours album which is on high rotation in my car. -One of my friends came for a pre-Christmas sleepover. There was copious amounts of chocolate, Love Actually+Elf watching and a look at some of the local Christmas lights. Good times. 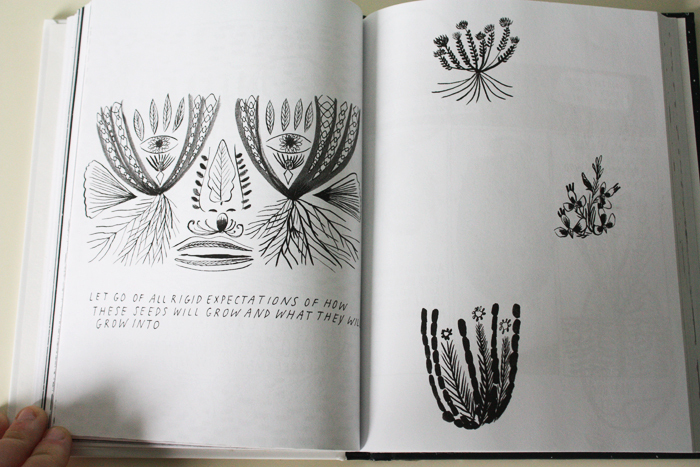 -One of the pages inside Your Illustrated Guide to Becoming One with the Universe. Such an uplifting book and a nice reminder of where your focus should lie when life's getting a bit crazy. 2015 may be done and dusted but judging by the state of my subscription boxes, the favourite declarations are nowhere near over. 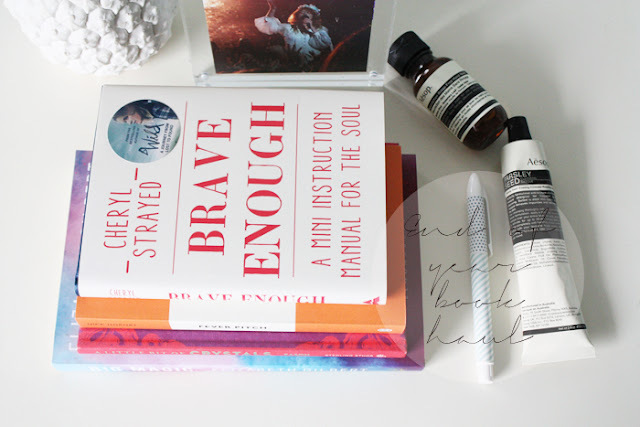 Today I'm finishing up my favourite reads for 2015. There's a fair few YA novels in the mix and also some of the best, diverse memoirs I have read in a long time. Enjoy! Am I Normal Yet by Holly Bourne, not pictured-This was a library book, hence the lack of photographic evidence that it was read but trust me, it was! Am I Normal Yet is another book that explores the topic of mental illness, this time anxiety along with obsessive compulsive disorder and to an extent, depression. I remember really enjoying this and found myself identifying with aspects of this story as well as my own high school experience. There's something very special about Holly's writing, I have read two of her books now and I highly recommend you give them a read. Wild by Cheryl Strayed-I really wasn't expecting to like this book as much as I did but I loved it. Given I know next to nothing about tramping and the American outdoors I've found it extremely interesting. Cheryl Strayed sets out to hike the Pacific Crest Trail in an attempt to rediscover herself and reflect on the last few years of her life, since her mother's passing. It's a true story which makes it all the more amazing and inspiring. The movie is just as good as the book too. Eleanor and Park by Rainbow Rowell-From memory this was one of the first books I read last year but I remember soaring through it because it was such an addicting, captivating read. Set in the eighties, minus all those pop culture stereotypes we know and love, it tells the story of two teenaged outcasts whose paths cross on the school bus. They bond over a love of mixtapes and comic books and the rest as they say is history. 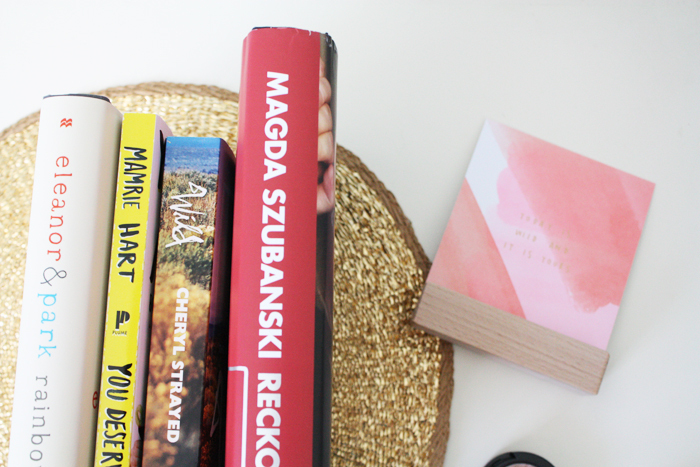 Reckoning by Magda Szubanski*-There were quite a few memoirs read by me last year which isn't that surprising given it's one of my favourite genres. Magda's book explores two key threads of her life; her Dad's polish upbringing and involvement in WW2 and her sexuality. In among that there is snippets about how she became one of Australia's most-loved comediennes. It's one of the most interesting, insightful memoirs I've read in a long time and it was one of those books I couldn't put down from the beginning. Forget what you know about Magda already, there is so much more to her. Submarine by Joe Dunthorne, not pictured-Thanks to Emma for going on about this book+movie because it got me intrigued and this ended up being one of my favourite books of the year. Dunthorne's writing reminds me a lot of Nick Hornby which is a good thing, obviously. Submarine tells the story of Oliver Tate, a British high school student in the midst of his GCSE's and on the path to understanding the complexities of the teenage girl brain, or in his case, Jordana's mind. Each chapter is constructed as a diary-like entry so it's a quick read. This book is so hilarious though and at times a bit sad but the dialogue and Oliver's thought process were so entertaining to discover. I highly recommend you give this one a read if you haven't already done so. Another year, another lineup of books waiting to be devoured, published, marveled over..you get the idea. For those following along on Goodreads, I've set myself the goal of finishing and reviewing 48 books. It's smaller than other years, but I want to put an effort into reading and reviewing books properly and that's a number that for me feels not too crazy. Of course there'll still be other reviews around these parts and over on Instagram and YouTube but you'll definitely be seeing four books here every month. To kick things off we have some novels from two of my favourite Brits, a new+very promising novel and a non-fiction book for some balance. According to Yes by Dawn French-Who knows what rock I've been under but I wasn't aware that Dawn French wrote novels. Where have I been!? Her latest one took my fancy when a local store was having a pre-Christmas special and I devoured it in the week following Christmas Eve. I chose this as I wanted something lighthearted to read. It delivers on that front, but it certainly veered into territory I wasn't expecting at all. That's not a bad thing by the way, it just took me off guard. Dawn French's writing is charming, as you would expect and hilarious of course. This would be the perfect Summer beach read. 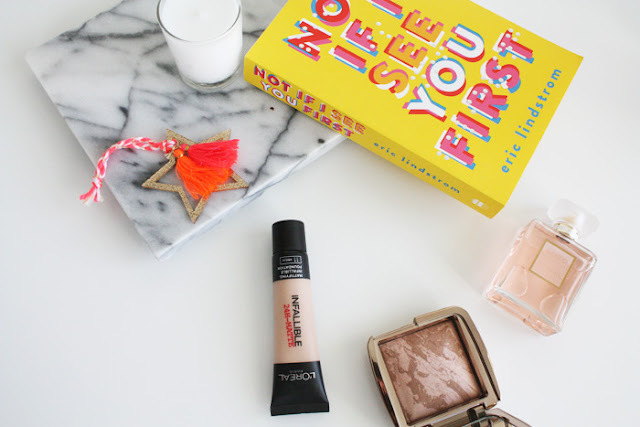 Not If I See You First by Eric Lindstrom*-You can't see it in this picture, but I'll make a point of it in my book haul video, this book has the best cover. It features braille lettering on the cover, spelling out the title as the main character in this book is blind. That is a unique feature in itself, correct me if I am wrong but I feel like in literature, more so YA we don't see protagonists with physical disabilities like this. Thumbs up for diversity in novels. I'm not very far into this yet but it's told from the perspective of Parker, a teenage girl who lost her sight in an accident and chronicles her high school experience+life outside of it. This makes for really fascinating reading and the perspective of a non-sighted person makes this quite a special read. I know people with vision impairments but despite that it's still been really insightful for me. High Fidelity by Nick Hornby-Be prepared for a lot more Nick Hornby around these parts. He's one of my favourite writers at the moment and I've got two more of his books on my shelves waiting to be read. This novel tells the story of a thirty-something who runs a record store and is struggling to get to grips with adulthood. Side note: This sounds like me in a nutshell, without the records, and the masculinity. I've started this already and love it so far. 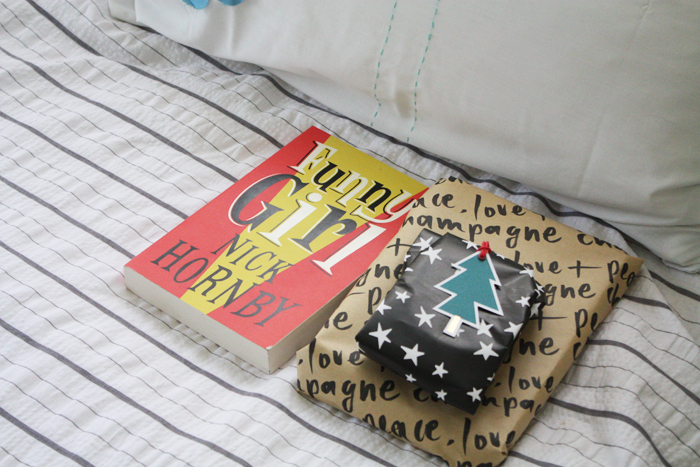 Nick Hornby doesn't disappoint. 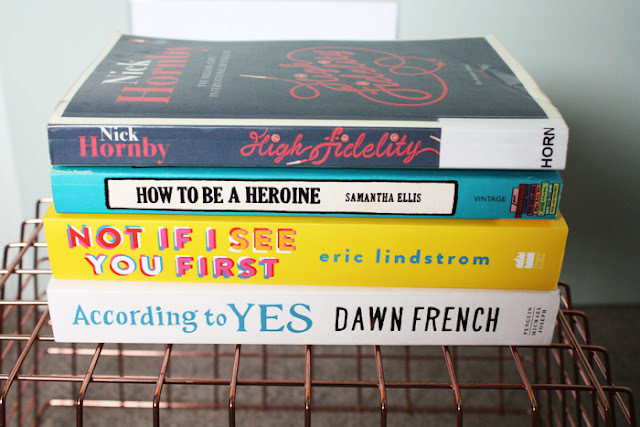 How To Be A Heroine by Samantha Ellis-It wouldn't be one of my reading lists without something non-fiction in the mix. This one charts the reading habits of Samantha Ellis and the heroines throughout literature who inspired her and shaped her into who she is today. This has actually been sitting on my shelves for ages and it sounds amazing so I'm looking forward to getting into it.